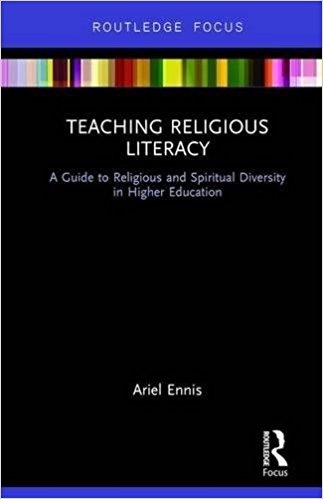 Ariel Ennis, Assistant Director and Senior Multifaith Educator at the Of Many Institute for Multifaith Leadership in the Office of Global Spiritual Life at New York University, has authored an important contribution to a burgeoning literature on campus-based interfaith and interreligious outreach. Noting that diversity and inclusion initiatives on American campuses frequently address race, sexuality, and gender while ignoring religious identity, Ennis reports on efforts at NYU to create a center to support spiritual life. Special attention is given to the development of a “Faith Zone” curriculum that trains leaders for enhanced multifaith encounters. Ennis analyzes a variety of extant approaches to cross-cultural religious and spiritual experiences, looking at intended outcomes of different programs. Focusing on the concept of “religious literacy,” he describes a framework for the NYU workshops on spiritual diversity that supports religious literacy initiatives. Included in the book is the Faith Zone curriculum and rubrics drawn from the AACU (Association of American Colleges and Universities) VALUE rubrics that are used for post-workshop outcomes assessment. He shares data from these assessments in order to demonstrate the impact on campus of the religious literacy curriculum. The book closes with the author’s reflections on how Faith Zone workshops could be offered on different types of campuses (public/private, religious/secular) and with his recommendations for successfully meeting challenges emerging from the workshops. Campus religious literacy initiatives that Ennis advocates embrace the question: Can we teach people to have more productive conversations about religion and spirituality in diverse settings? 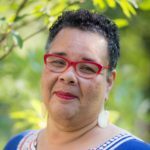 Using the definition of religious literacy developed by Dianne Moore of the Religious Literacy Project at Harvard Divinity School, Ennis answers this question affirmatively, setting four outcomes for the interfaith curriculum. Workshops will (1) enhance participants’ knowledge of historic and contemporary interconnections of religion with cultural, political, and social life; (2) embrace an ecumenical orientation that offers participants firsthand experience in exploring religio-cultural boundaries; (3) promote self-awareness about the intersections of participants\' religio-spiritual identities with larger social forces; and (4) encourage participants\' commitment to apply their new found religious literacy through practical projects that bridge intercultural divides. 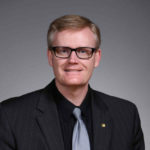 In contrast to Eboo Patel’s portrait of a fraught relationship between interfaith outreach and religious studies programs (https://www.wabashcenter.wabash.edu/scholarship/interfaith-leadership-a-primer/), Ennis’ book points to positive implications for partnerships on campus between religious studies programs and interfaith outreach. Similarities between Faith Zone outcomes and learning outcomes/assessment of the religion major on many campuses suggest productive cross-fertilization. Students could sustain the long-term impact of the workshop outcomes, adding depth and breadth, through coursework in religious studies grounded in similar learning outcomes. In complementary fashion, religious studies majors could apply learning in the major outside the classroom, enhancing their resumes, through interfaith internships: as graduates of Faith Zone training, they could lead workshops on religious literacy and develop and lead associated campus programming.